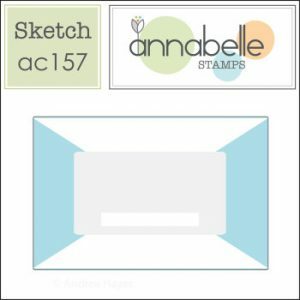 Are you ready for a new AnnaBelle Stamps sketch challenge? I turned the sketch for this one. The background had me scratching my head for a little while, until the idea of using some patterned paper popped into my head…which is such a rarity for me! This challenge will run for 2 weeks and the winner will receive a $15 Gift Voucher to the AnnaBelle Store. I hope you will play along with us. Be sure to check out the rest of the Belles’ projects – their links are on my side bar. 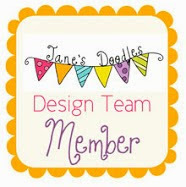 Also make sure you also visit Janet O’Brien’s blog as she is Guest Designing with us. 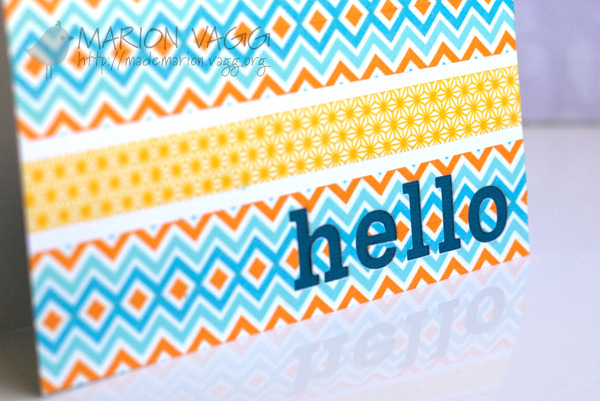 I am very excited to be here sharing my first card as a designer for the Muse Card Club. Have you played along with us yet? Today’s card is actually ink-free! What? Yep, you heard me… no ink! I created the background using two different washi tape patterns…I lined up the chevrons to create a really nifty diamond pattern. I think the yellow, orange and teal colour combo is so bright and happy! 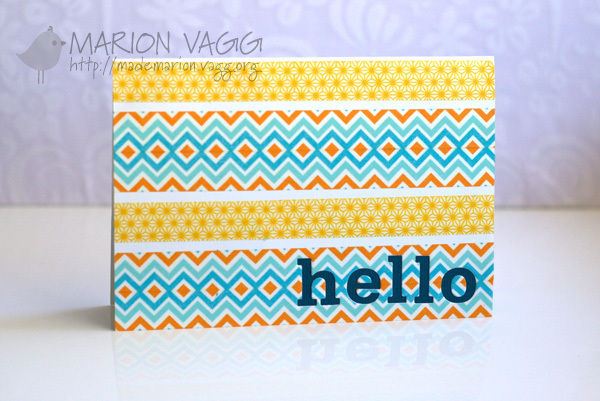 I die cut the sentiment and used the negative space…backing it with some teal card stock. Hopefully you can see it better in this photo. Vote for 3 of your fellow member’s submissions that you find inspiring. I am popping in REALLY quickly as it is late and I should be going to bed! 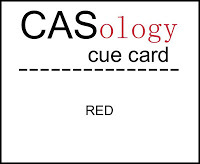 This is a mini card – about 7.5cm by 7.5cm. Very cute. 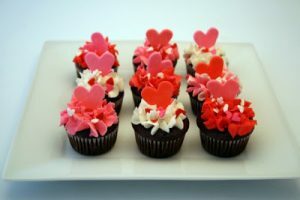 We don’t tend to do Valentine’s Day in our household, so it didn’t go to my hubby – a friend of mine wanted it for hers! Ha! 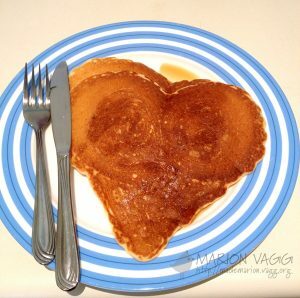 My hubby did make pancakes for the kids for breaky on Valentine’s Day and I asked for some love heart ones, and he did it! I am entering this into a couple of challenges. 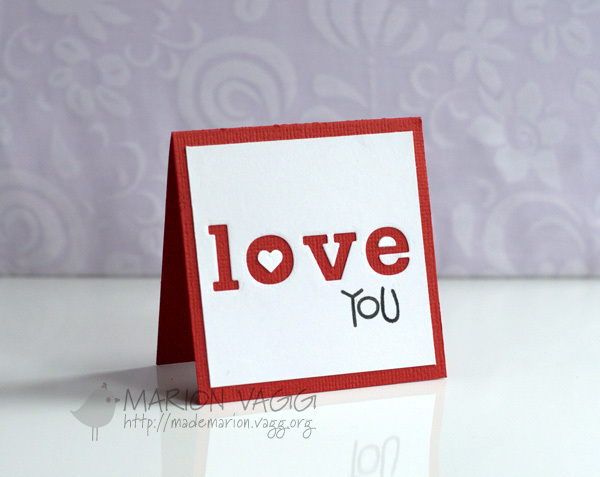 CASology’s cue this week is Red and the Scrapbook Boutique is having a love challenge inspired by the following photo. Oh and here are the pancakes with maple syrup! They were yum! 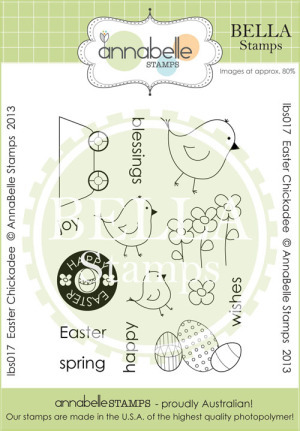 Hello and welcome to the new stamp release blog hop for AnnaBelle Stamps. You should have arrived from the very sweet Kylie’s blog. 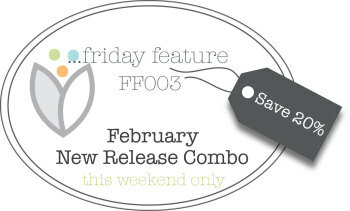 Today, two new stamp sets are being released along with some new dies! 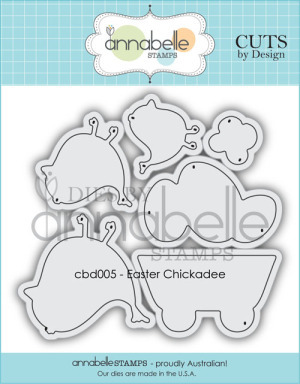 First up here is the stamp set Easter Chickadee with matching dies! 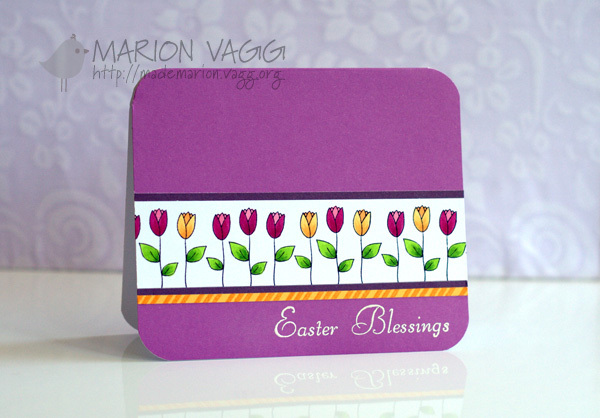 For this card I used the dies and a sentiment and created a colourful stack of birds. Next I used some of the cute flowers from the set to create a little garden scene. 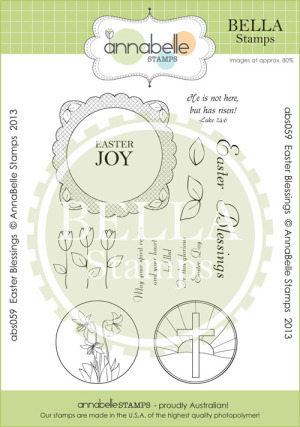 And last but not least is the Easter Blessings stamp set. I just fell in love with those tulips! Now for a GIVEAWAY. If you would like to own both of the new stamp sets and matching dies, comment on all of the DT’s blog and then head back to the ABS blog and add your name to the inlinkz. You have until Sunday 8pm (Australian EST) to enter. ALSO, this new Designer Flowers die has entered the store coordinates with the Designer Flowers Stamp set that was released last month. It is also discounted by 20%, but only until midnight this Sunday. Your next stop on the hop is my sweet friend Therese. Today I have a video to share with you for AnnaBelle Stamps on how I make flowers out of satin ribbon. It makes a perfect gift when filled with something special to give to your loved one this Valentines. 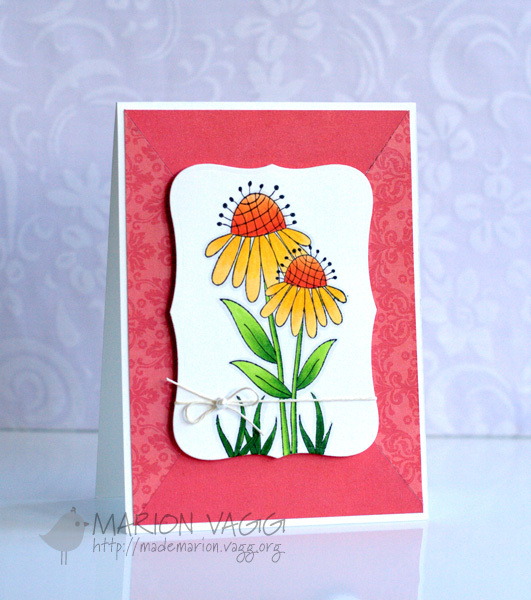 To view the video, head over to the AnnaBelle Stamps Blog. 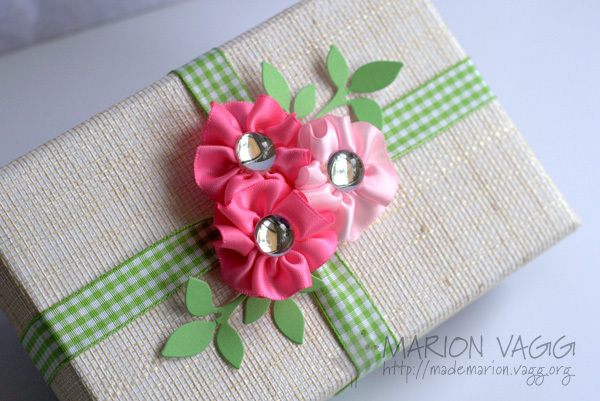 Other Supplies: AnnaBelle Stamps 16mm Satin Ribbon – Rose, Blossom, AnnaBelle Stamps Gingham ribbon – Kiwi, Gift box (recycled from a Christmas Present of mine), Arbee Gems, Hot glue gun, Wplus9 Folk Art Florals Designer Dies (leaves), Cuttlebug.